Now this is a really neat program! 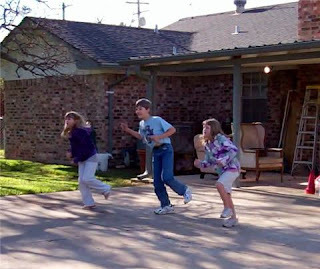 As a homeschooler I find many families don't actually have a physical fitness program. I would highly recommend Family Time Fitness to each of you! 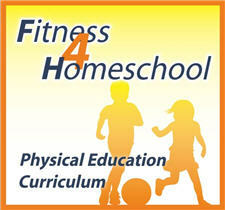 The program Fitness 4 Homeschool - Core 1 Physical Education Curriculum is designed for grades K-8th or ages 5-13. Now, as a family we do play racquetball, volleyball and a few other sports that keep us active, but it was great to have a program at home that sets out what you do daily. For just $57 you will receive 260 planned lessons, that take just 30-45 minutes a day, 3 days a week. There is no need of fancy equipment and supplies. Most items you might even already have on hand! A jump rope was easy, and we already had cones and bases. We did have to search for a hula hoop. 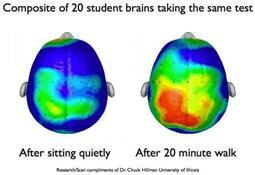 Instead of a stop watch, we use a cell phone or iPod. Also, before you start make sure everyone has comfortable clothing and shoes on. You can choose any time in your school day for Family Time Fitness, but we find exercise first thing in the morning works best for us. One we don't let it go throughout the day and then never accomplish it. Two, it helps get us going for the day, and has a tendency to take an edge off irritability and wiggling during school. Each session starts with a nice warm up. Now, just because this is designed for children, don't think it is easy! You will probably end up hot and sweaty if you participate too. Some warmups are easier than others! Most are stretches, loosening and warming up muscles. Next comes the activities for the day. 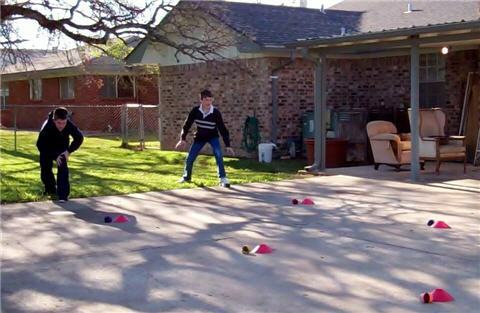 This usually include 2-4 activities, maybe a hula hoop contest, agility course, or jumping rope. Each day brings new surprises. Your child will never be bored with Family Time Fitness. Last of all is a cool down. A perfect ending to your workout. Now, to help make things easier for you, Family Time Fitness has a video link to the exercises, just incase you don't know what a certain one is. I mean what is a ball chop? Or a Starfish? Just click on the link and check out the video. Now, the lessons can be put on an iPad, which makes them portable, or you can print off the one page summary for the day. Do I think you and your children will benefit from Family Time Fitness? Yes! This is a program I wish I knew about years ago! Be sure to read what other Crew Members are saying about Family Time Fitness by clicking on the banner below.